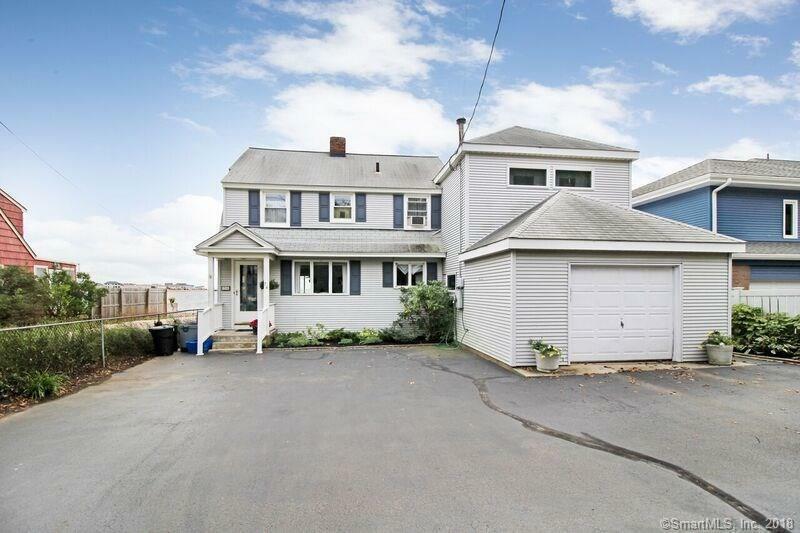 Direct waterfront home on Morgan Avenue. Step out your glass doors to your patio right on the beach. A sandy beach is right there! Relax on the patio, walk on the sand or swim in Long Island Sound. Stunning water views await you every day. This 4 bedroom, 2-full bath house is ready for a new owner who loves the sun and sand as much as the current one. This open floor plan offers a spacious kitchen, dining area, large living room and fireplace plus a 4-season porch which walks right out to the patio and sandy beach. Upstairs offers 4 bedroom with 3 of them having water views and 2 of them have their own deck. This is a spectacular location.